Congress Rally: Is it a sign of revival of the party in Bihar? 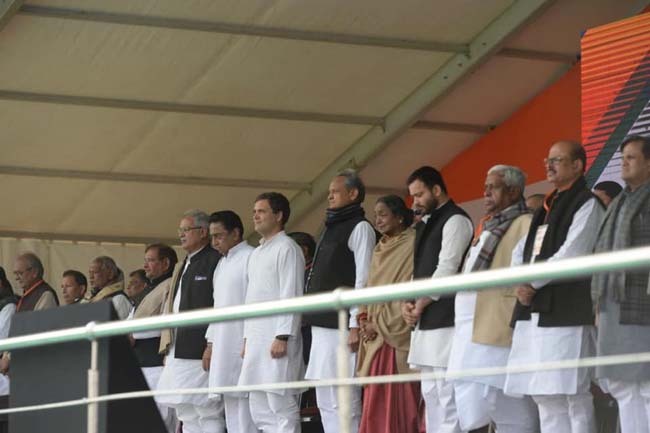 Combined effects of three states election victory, Priyanka Gandhi entry into active politics and February 3, Gandhi Maidan, Patna rally appear to have infused a life into the virtually dead Bihar Congress. The party's emergence as a force has potential to disrupt the political dynamics of the state. Perhaps, initially Congress is looking to tap the simmering disillusionment of the upper caste against the NDA government. At least, the dominance of upper caste leaders in the posters and bill boards put up for the Jan Akansha rally is a pointer to this fact. However the question remains: Did the resentments reach to such a level that a significant sections of upper caste is prepared to dump the BJP; Or, the anger is restricted to verbal criticism of its policies. 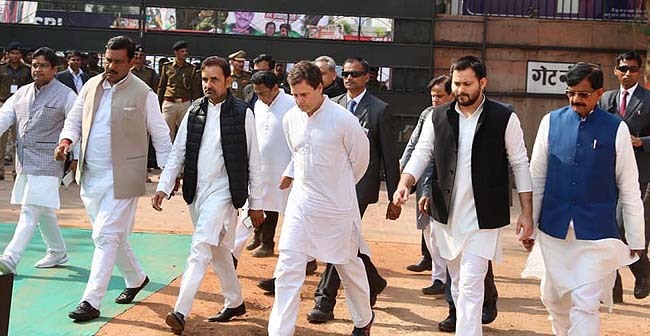 Irrespective of the effectiveness of the strategy, one thing is clear that the Congress no longer wants to remain an underdog in Bihar politics. The Grand Old Party's aggressive stance in pursuing upper castes-- despite knowing their allegiance toward BJP-- points to its willingness to disrupt the status quo, rather than living with it. “Even slight shift of Upper Cast votes towards Congress’s pocket has potential to harm the NDA's prospect” said a Bihar watcher. “The Party in alliance with RJD, RLSP and HAM already enjoys the supports of sizeable number of other backward castes, minorities and Dalits votes”, he added. If Congress gets success in attracting substantial upper Caste voters towards the it-- they had been traditionally voting for it and have at present no such hatred for it-- NDA would be bereft of backing of an important social group. Similarly, in the long run RJD too may have to struggle to keeps it flocks together as Muslims and Dalits now supporting it, had before 1989 voted for the Congress. However, noted social and political activist, Satya Narayan Madan has downplayed the suggestion of Congress' revival. He said, “It is simply a tactical electoral move of the party to get some upper caste votes which can, in combination with existing Grand Alliance base, help it win a few more seats.” According to Mr. Madan, this cannot be a long term strategy to increase the grounding of the party in the state. Indeed, the successful conclusion of rally has surely increased the bargaining position of Congress. If the tempo continues, the Grand Alliance may manage to bring about a few surprises in coming election. The bottom line of Rahul Gandhi's speech in Patna was his appeal of total unity among the constituents of Grand alliance. He even urged the Bihar Congressmen to fully cooperate to vote out first the Narendra Modi government and then Nitish Kumar state government. At the fag end of the speech he made it amply clear that Tejashwi Yadav is the leader of the alliance in Bihar.